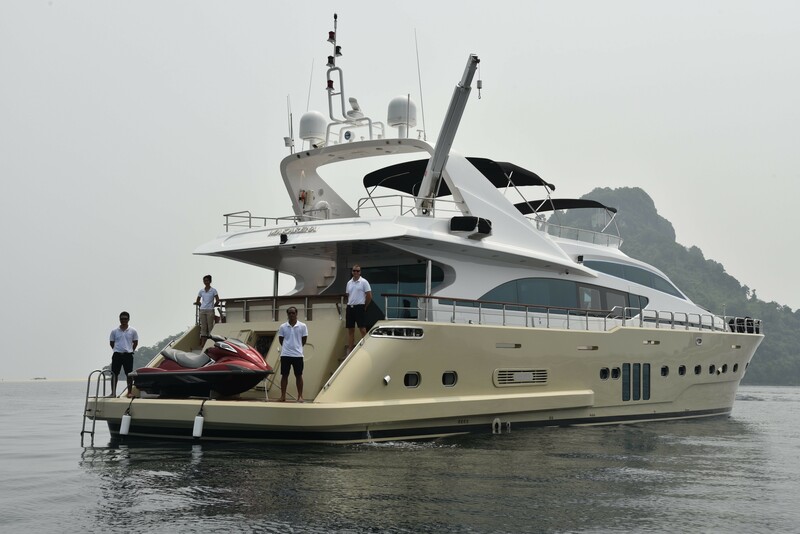 Motor Yacht MIA KAI (Ex Makarena) is 96ft and was built by Bilgin and launched in 2007, refitted in 2011/2015. 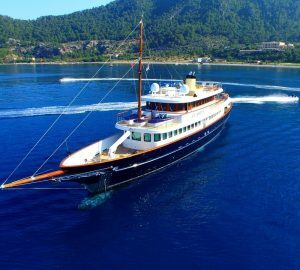 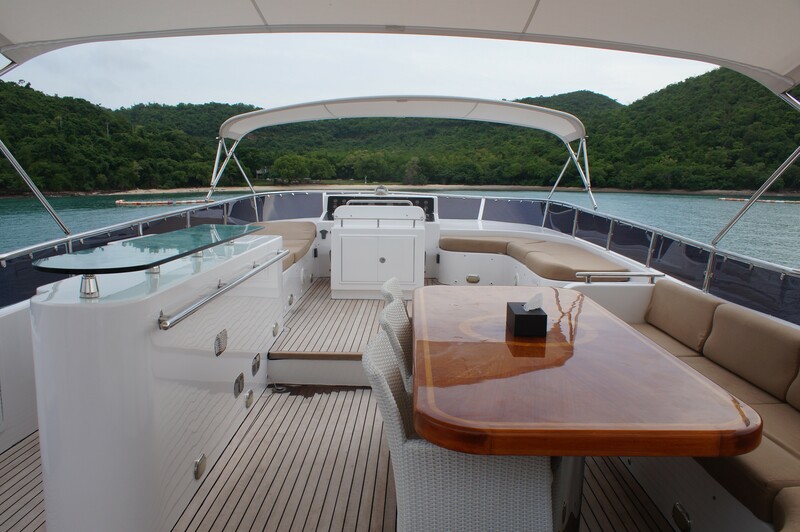 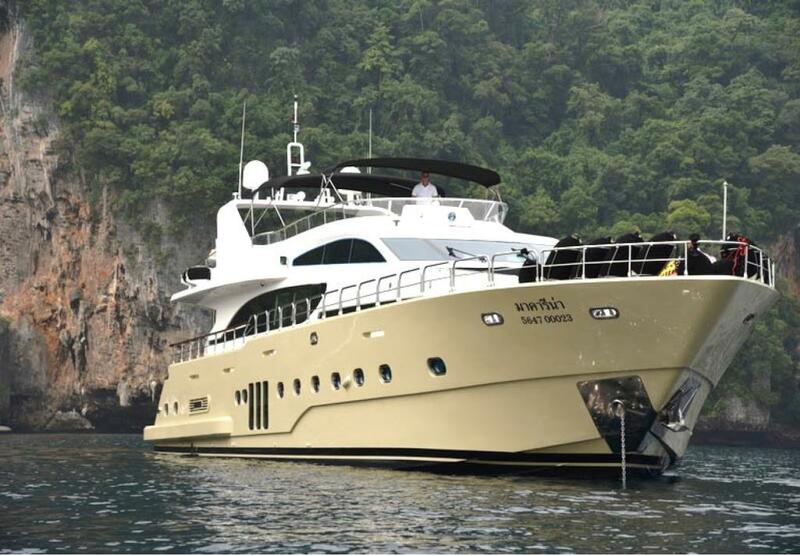 She is a modern and stylish luxury motor yacht ideal for cruising South East Asia. 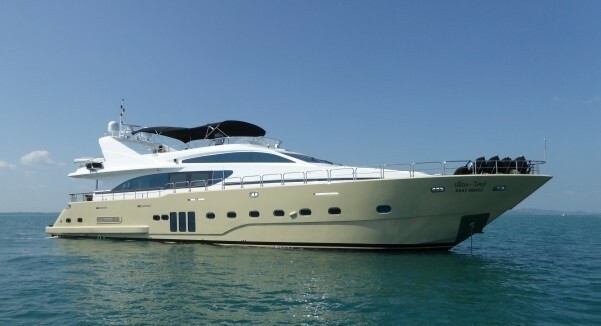 With dual 1550hp engines, MIA KAI cruises at 15-18 knots. 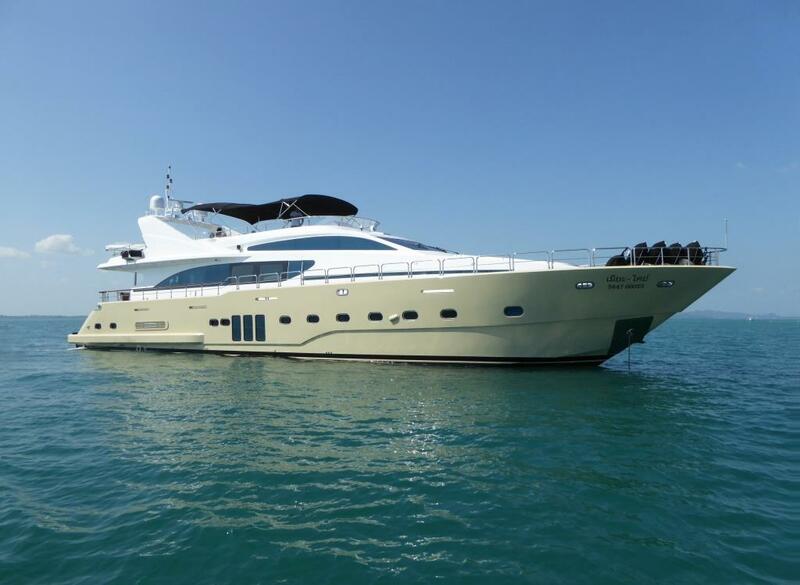 In her 96 feet, Motor Yacht MIA KAI affords a surprising array of features including a fantastic flybridge with a Spa Pool, barbeque, dining area and sunpads. 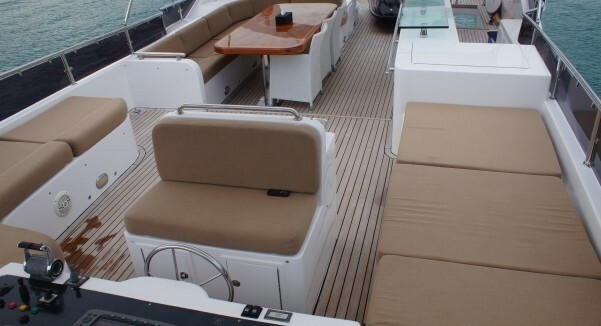 Internally, Motor Yacht MIA KAI is clean and simple with neutral beige tones complimented by rich door woods. 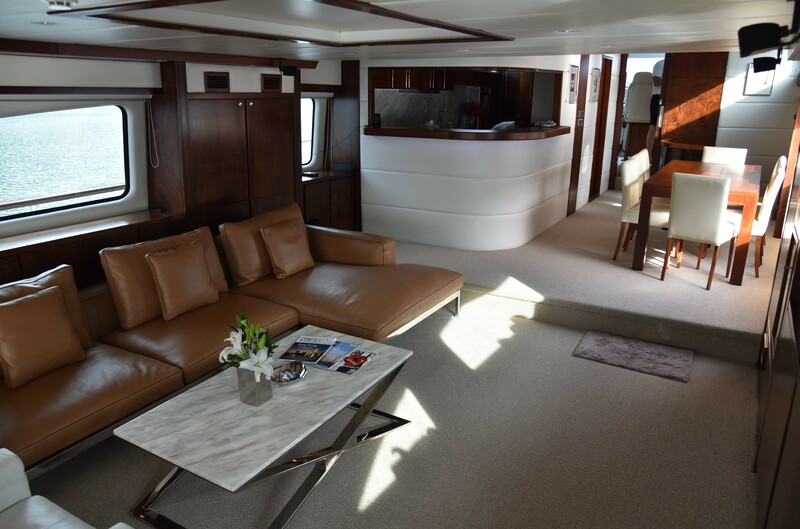 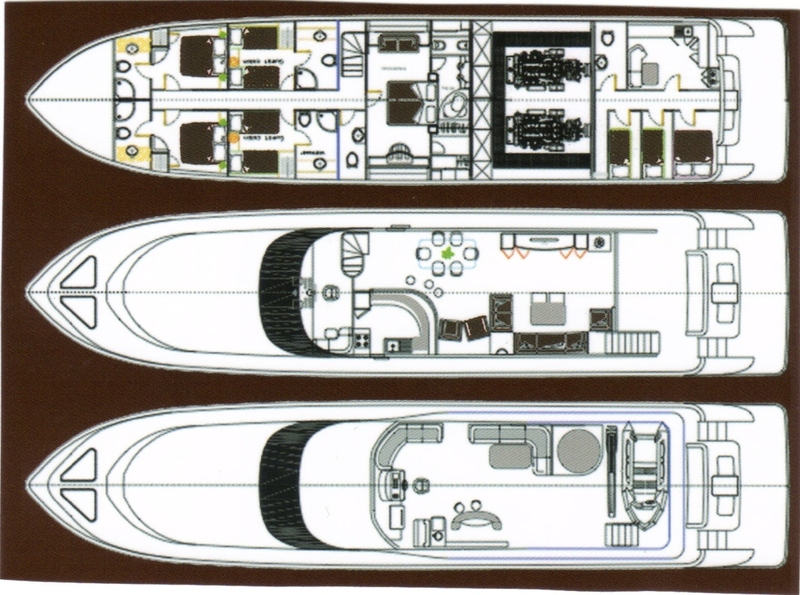 Charter yacht MIA KAI’s well-appointed saloon has adequate seating and space for relaxing with music system and 50 inch flat screen TV. 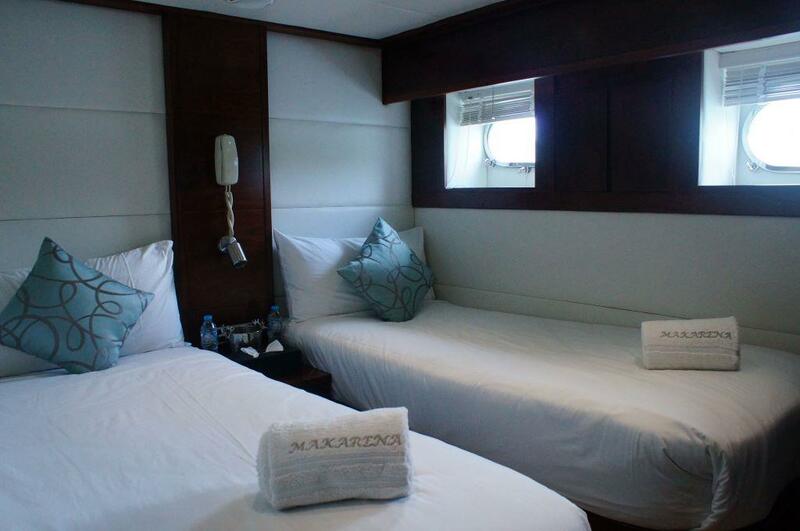 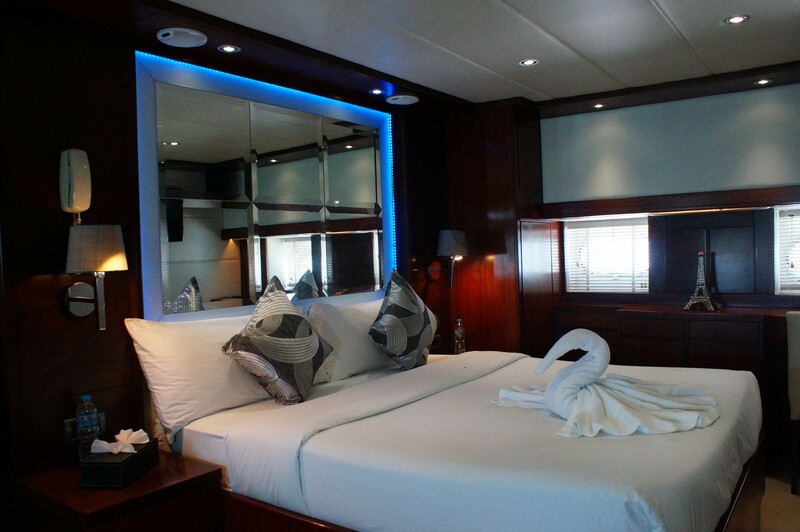 She offers spacious accommodation for 8 guests in 4 separate cabins each boasting entertainment facilities. 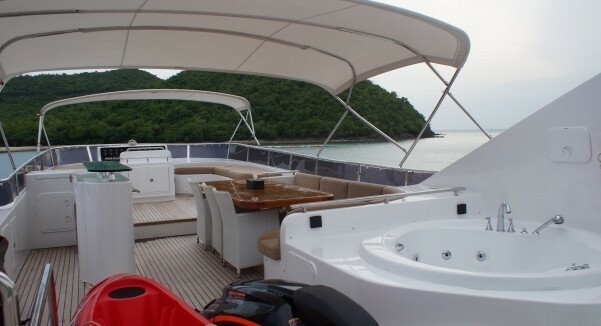 Motor Yacht MIA KAI is also equipped with a great range of water toys including a 5 meter Zodiac tender with 40hp outboard, 3-seater Yamaha jet ski, water ski, wakeboard, snorkeling and fishing equipment, as well as inflatable water toys. 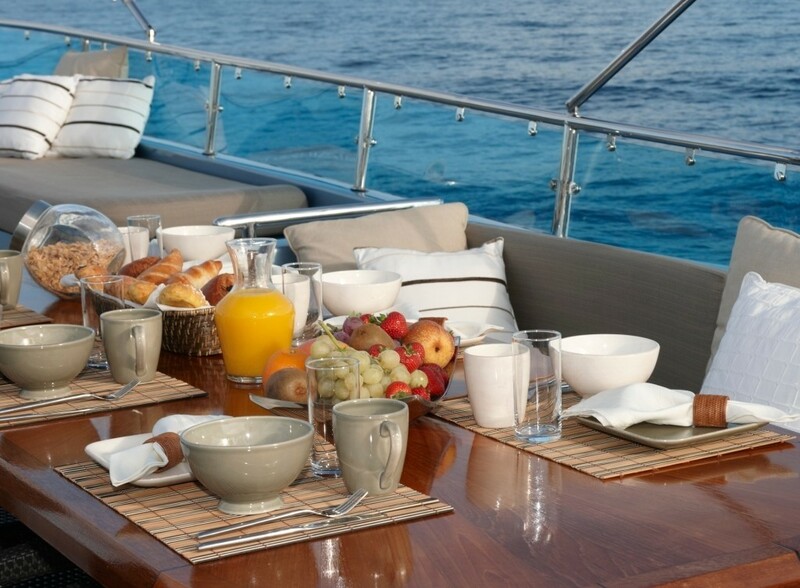 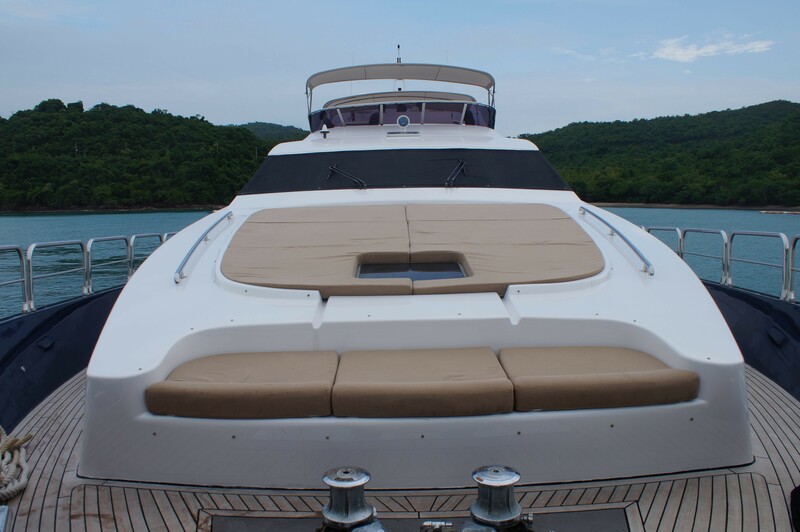 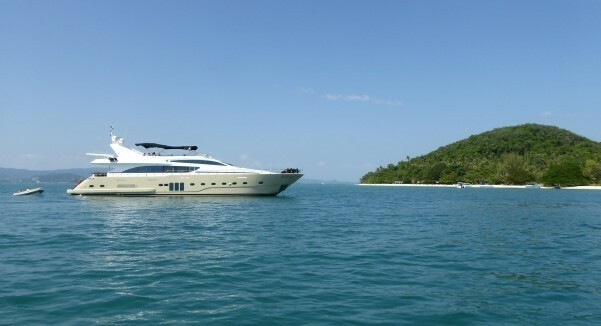 MIA KAI offers luxury yacht charters in Phuket, the Gulf of Thailand, the waters of Pattaya Bay and Gulf of Siam. 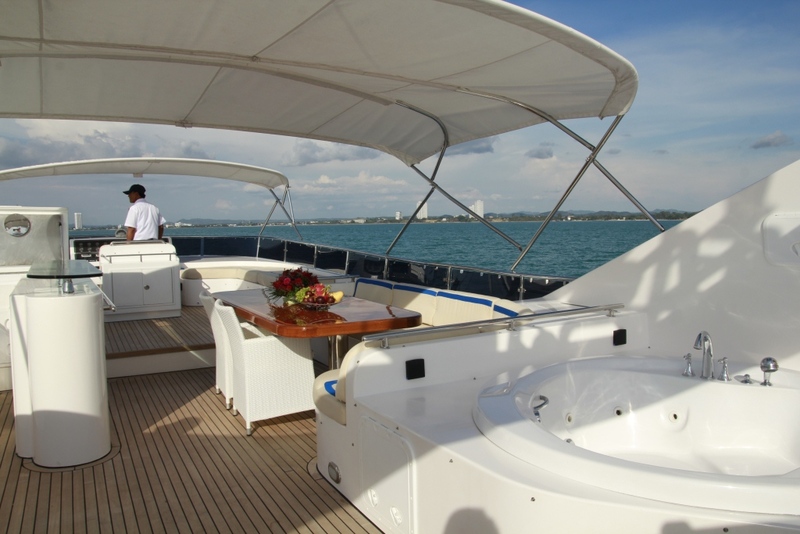 MIA KAI has a professional crew of 5 offering first class service. 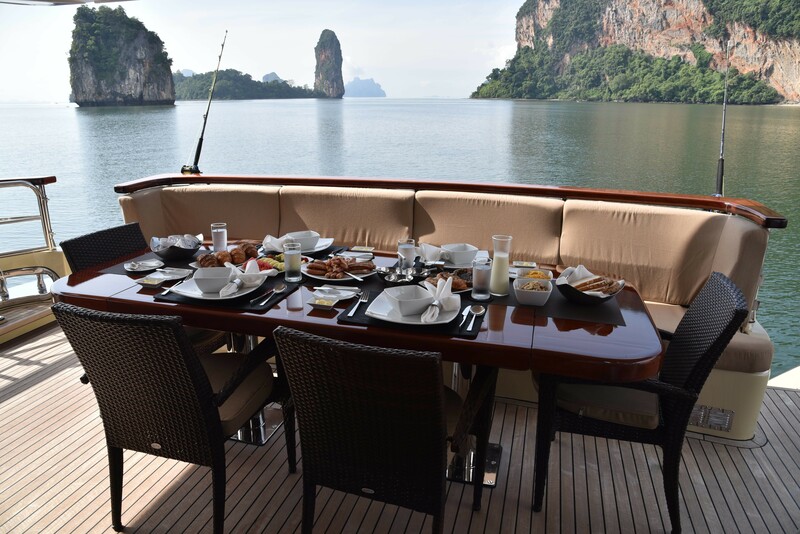 Cuisine onboard ranges from traditional Thai dishes using fresh ingredients to western favourites. 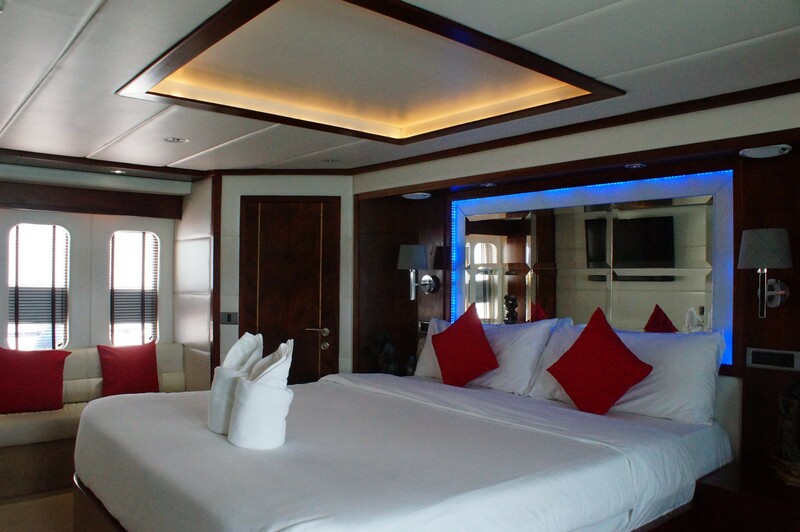 Motor Yacht MIA KAI offers spacious accommodation for 8 guests in 2 double cabins and 2 Twin cabins, each equipped with a TV, DVD and radio and a private ensuite bathroom. Motor Yacht MIA KAI has the following tenders & toys: 5m Zodiac tender with 40hp outboard, 3-seater Yamaha jet ski, water skis, wakeboard, snorkeling and fishing equipment, inflatable water toys. Audio Visual Equipment includes an entertainment system in the salon with bose surround sound and TV, DVD and radio in the cabins.